Running a business involves a lot of legalities and agreements between businesses and individuals. 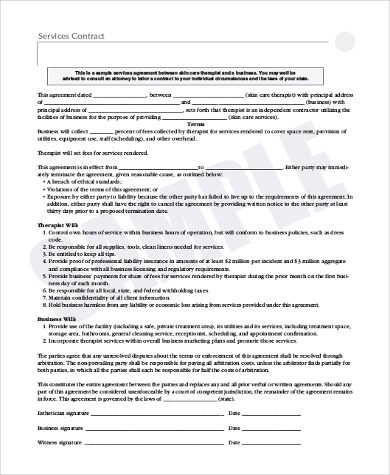 A formal written contract enables both parties involved to enumerate their expectations, to make sure that both parties are fairly compensated for their work, goods, or money, and to figure out solutions on how to resolve varying results or disputes. 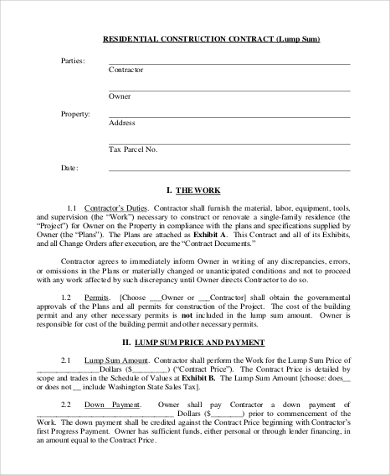 Contracts are legal agreements that may or may not be written. While some prefer to settle agreements verbally, a tangible copy of a contract serves as a security blanket for when conflict arises. 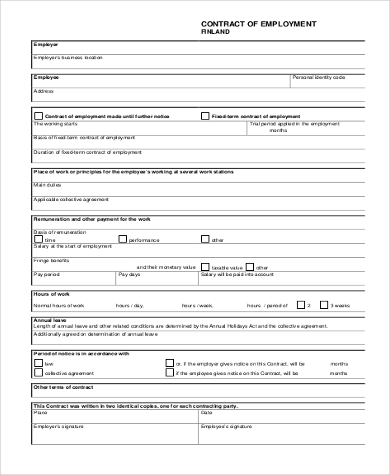 Through our various types of Contract Forms below, you will be able to draft and personalize your contracts based on what you need. An Employment Contract is a smart way to make sure that everyone employed under you stays and remains happy. 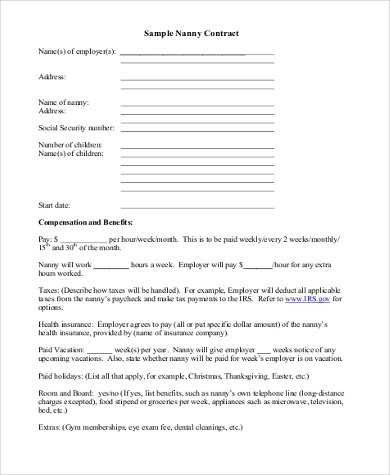 Being one of the most important types of contract in business, an employment contract enumerates an employee’s salary, benefits, hours of work, and general work responsibilities. These things are normally verbalized when an employee has been profiled for the job but a written agreement states the conditions clearly. An Employee Contract will also cover a non-disclosure agreement where the employee agrees to abide by the company’s confidentiality rules. Some companies will also opt to include a non-compete clause in their Employee Contracts, which disallows employees to work directly with another company with the same nature of business for at least one or two years. 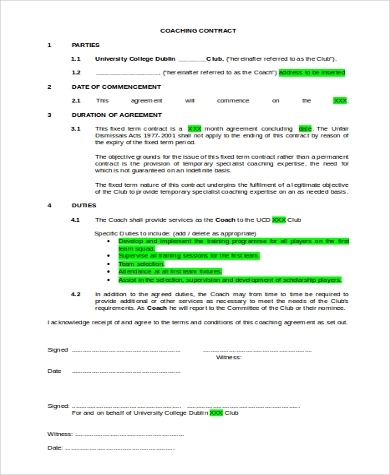 Creating a written agreement is crucial in doing business. Outlining your expectations when setting up deals with a supplier, dealer, partner, contractor, or shareholder prevents miscommunication. 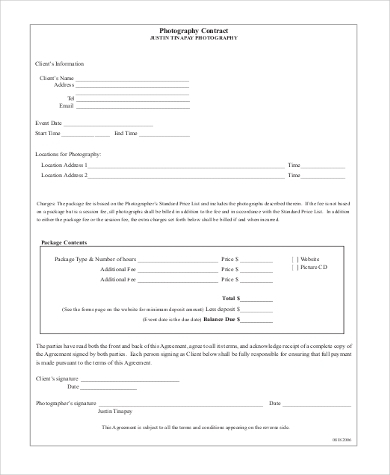 Our sample Contractor Contract Form and Service Contract Forms provide an easy and efficient way for you to properly indicate schedules for delivery, business objectives, and cancellation policies. Sometimes things do not end the way we want them to. 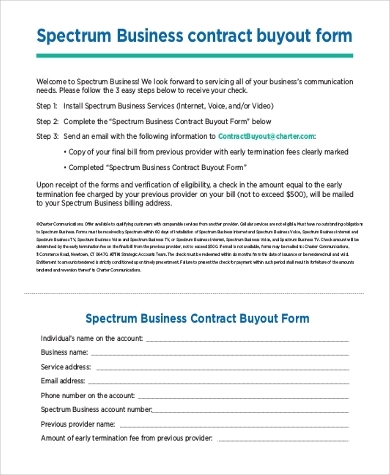 At this point, you may be dissatisfied with the services rendered to you or simply do not need them anymore – a Cancellation of Contract Form is what you’ll be needing. Cancellation of Contracts is a formal written declaration of your intent to discontinue any business relationship with another party. 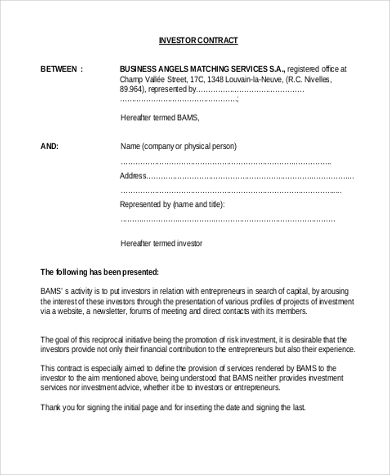 This notice states the date as to when the contract ends along with the terms indicated for you to permissibly terminate the contract. 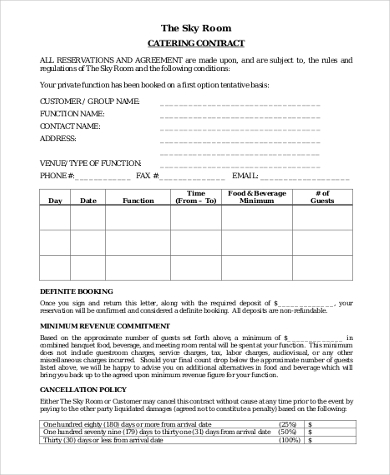 Issuing a Cancellation of Contract form is also a way to maintain peaceful relations with your business parties. Whatever purpose your contract may serve, the templates we have provided are guaranteed to fit your needs. 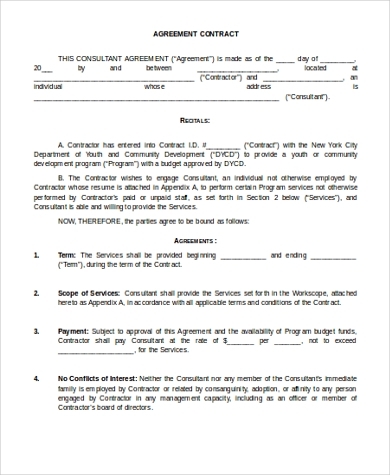 Contracts, whether for personal or business purposes, create a validity of agreement between two parties and serves as a reference in times of litigation or disputes. It is important to draft a clear and detailed contract that specifically states the agreement that you have settled on, your main objective, payment plans, expectations, and schedules of delivery.